I originally heard of them when I read this article in Runner’s World Magazine. I was completely intrigued by their ideas and kept a look out for the sneakers (I even called nearby running shops but no one had them). Finally, I saw them at a race expo and got myself a pair! 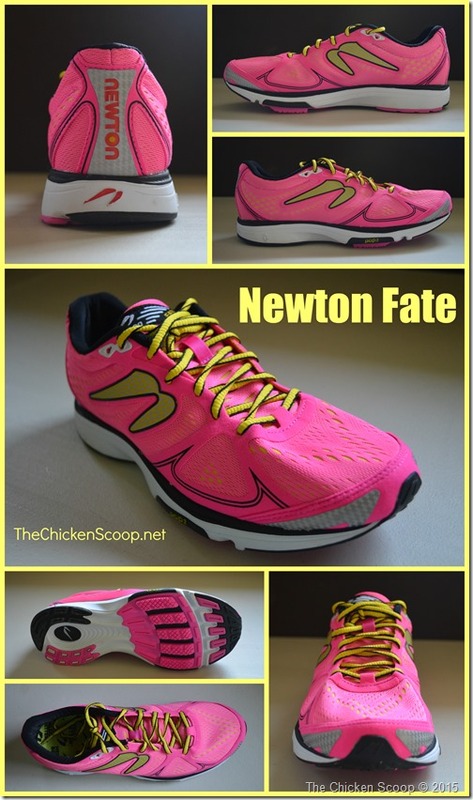 If you don’t know anything about Newton’s, let me do a quick run down of how they are different than regular sneakers. 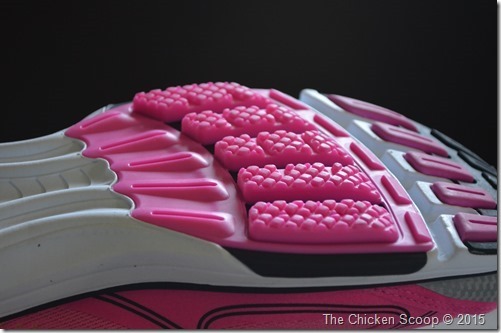 They have these things called “lugs” to help you land in the correct place on your foot strike (mid to forefoot). They are super lightweight but still have enough cushion. 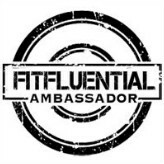 They are designed to help you correct your running gate/form. That being said, I didn’t use these for every run (some people do after adapting to them). There is an adjustment period to the new foot strike. I tend to land more mid-foot and I need to bring my strike slightly forward so I used these Newton’s to practice and adjust my gate. 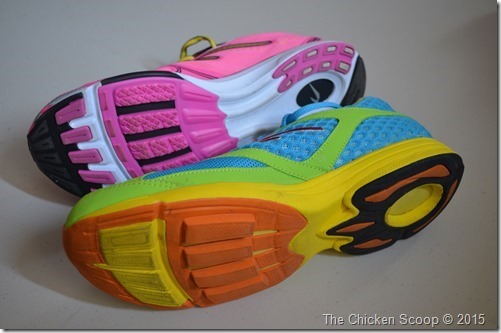 While I really liked this pair, the lugs were a little too thick for my liking to wear for every run. I did find them a useful too. Last week, at the Broad Street Run Expo, I spotted the Newton stand and practically ran over (but 2 days before a race, you have to save your legs!). I saw these beauties and snatched them up. I honestly can’t even tell you what else was on the display, it was love at first sight! So after the initial “OMG they are pink and YELLOW” (Uh, they come in green and purple too and if I had seen them, I would have gotten them instead), I asked to try them on. The very first thing I noticed was that the lugs had gotten smaller and they added an extra one. These are what make you strike in the right spot. See how they are slightly behind the ball of the foot? I could really feel the difference when I tried them on. They almost felt like regular sneakers. There was just enough there to help my gate but not be too noticeable. You only really notice the lugs when you are walking in them. As you roll from the ball of your foot to your toes, there is a sort of drop off, for lack of a better description. This isn’t detectable when running. 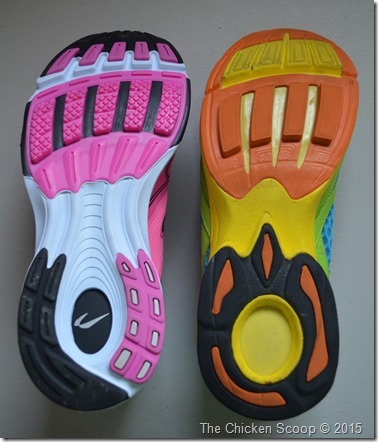 You can also see that they really improved the rest of the sole of the shoe also. I tried on my usual running sneaker size (which is a half size up from normal) and they fit perfectly, with just enough room in the toes. They let me run around the expo a bit while I left my bag in their booth (collateral!) and they felt pretty good. 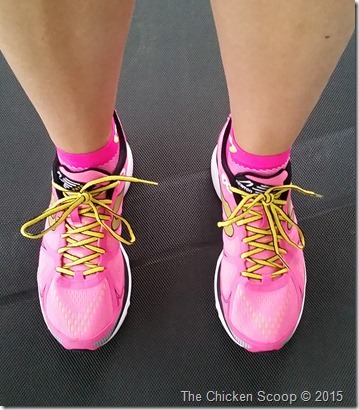 I had worn my current, too-stiff running sneakers to the expo so I had a good comparison. I decided to get them and forked over the cash. 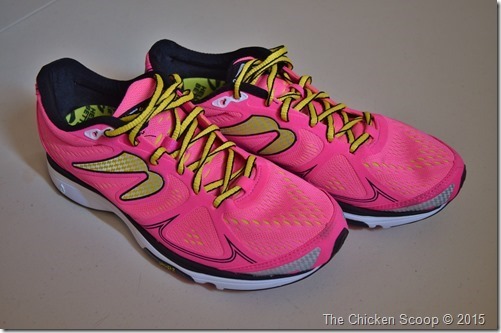 This particular style runs for $129 a pair on their website (expos give discounts – woohoo!). For my very first run in them (not Broad Street), I went with treadmill intervals. I ran 2 minutes of moderate to high intensity and walked for 1 minute for 21 minutes total. I had some residual aches and pains from the race this weekend but no new pains popped up during this run. The balls of my feet did get a little numb after about 18 minutes or so, due to the extra cushion there. This happens to me every time I wear highly cushioned shoes, which is why I usually stick to minimalist sneakers. It was barely noticeable though and I think after a few runs, my feet will adapt and the shoes will break in and this won’t be a problem. These have a slightly higher drop than I am used to also, at 4.5 mm, but I am hoping that will help with some Achilles tenderness I have had the last few runs. They felt great otherwise! My gate felt strong and I felt like I was landing perfectly every time. I also felt like my hip alignment was better than normal, not just my foot strike. I tend to roll my hips when I’m tired and sore and I didn’t feel that happening (I was still sore from the race). It is too soon to tell if these will help me in my running form overall. I will start slow, incorporating them into some short runs to work on my form. So far, I am really happy with my purchase and look forward to using them regularly. Maybe even use them on some long runs! Have you ever tried non-traditional sneakers? I also have a pair of Vibram Five Fingers. Yes, those are the toe shoes. 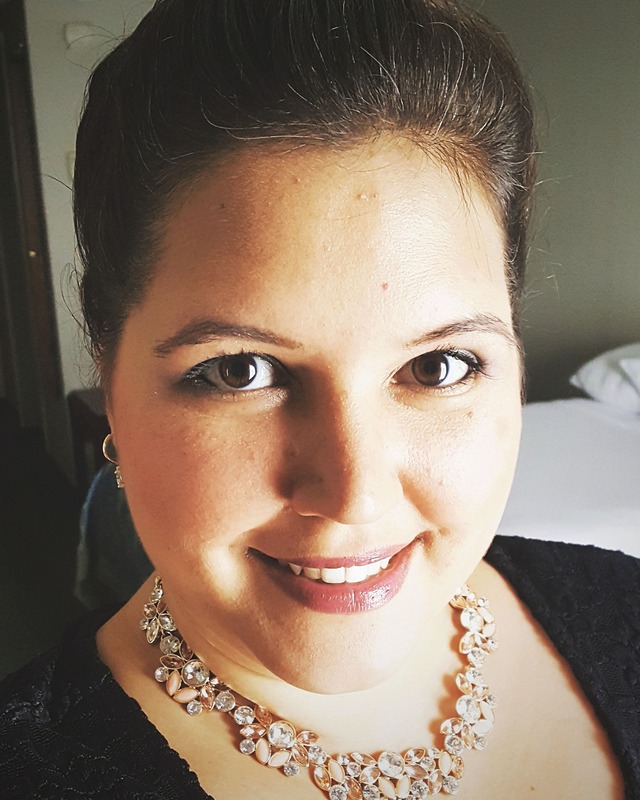 Edit November 12, 2015: The numbness in the balls of the feet is no longer happening. They just needed to be broken in or gotten used to! Great sneakers still! 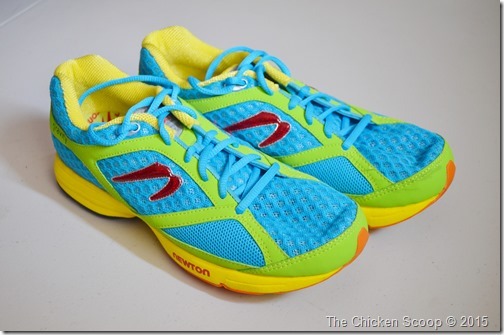 This is all good to know as I just won a pair of Newtons and am excited about trying them out. The pink and yellow combo is cute!! Perfect timing! Let me know what you think of them! !